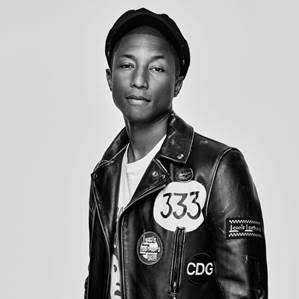 The man of many talents Pharrell Williams is set to perform at the 2015 MTV EMAs. The singer, songwriter, producer and fashion designer will bring his trademark style to the stage of the Mediolanum Forum in Milan on Sunday, 25 October. The 2015 MTV EMAs will host by award-winning music artists like Ed Sheeran and Ruby Rose, it will also be broadcast live across the globe on Monday, 26 October at 3am (TH/WIB) and 4am (MY/PH/SG). A repeat telecast will air on the same day at 8pm (TH/WIB), 9pm (PH/SG), and 10pm (MY). Voting for all award categories is still open on mtvema.com through 25 October at 6:59pm Singapore time.